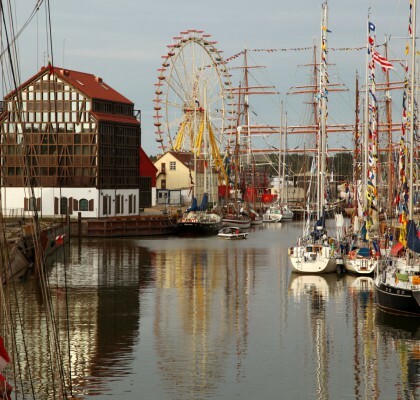 The harbour is the heart and soul of Nysted. It is located at the far end of Nysted Nor cove, with beautiful views of the Femern Belt, Rødsand offshore wind farm, as well as the lovely, old market town and Aalholm Castle. You really get a sense of history in Nysted, with the beautiful, well-preserved old houses. 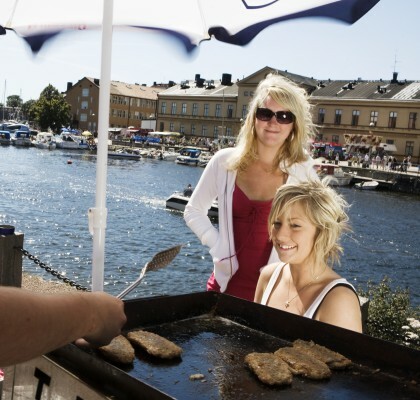 During the summer, various events take place in Nysted. I.e. Nysted is host of the most beautiful medieval festival in Denmark from the 3rd to the 5th of August, just before the Haikutter Festival. 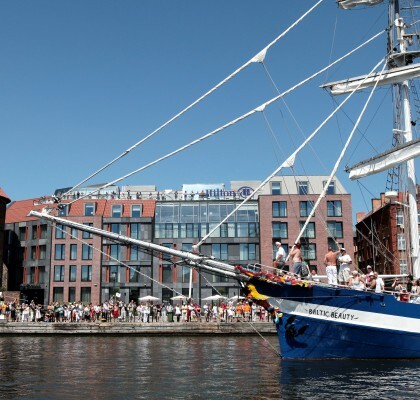 The Haikutter Regatta from Nysted to Rostock will be on the final day of the Haikutter festival. Nysted is located on the island of Lolland, just next to Falster. Both islands are surrounded by sea and straits, and with more than 600 km of seaside, you will find clean beaches and charming harbours that will be the perfect setting for your visit. From here, cycling is a good option if you want to get out and explore the surrounding area. You will find good cycling trails that bring you through beautiful nature, past historical manor houses and small cosy market towns. When you get hungry, Lolland and Falster, as being the pantry of Denmark, offers you culinary experiences and local ingredients.